Do you want to go to the beach for your holiday?Don't forget to bring a beach towel!Use a beach towel to quickly dry the water on the surface of your body after swimming to reduce uv damage.Your beach towel will also help you soak up the sun while you lie on it.Take your favorite beach towel on a trip. You need a stylish beach towel. Don't underestimate its charm.The beach towel that has design feeling and colour vivid can promote you instantly in go vacationing modelling.Beach towels are a must-have fashion for beach or pool vacations. Take a beach towel to wander with a fashion way ! 1.,you can use a beach towel as a headscarf,It keeps the sun out and the sand out..
7，Camping blanket:Enjoy the beach breeze, experience the beauty of nature, breathe pure air, wear a beach towel, live up to good times. 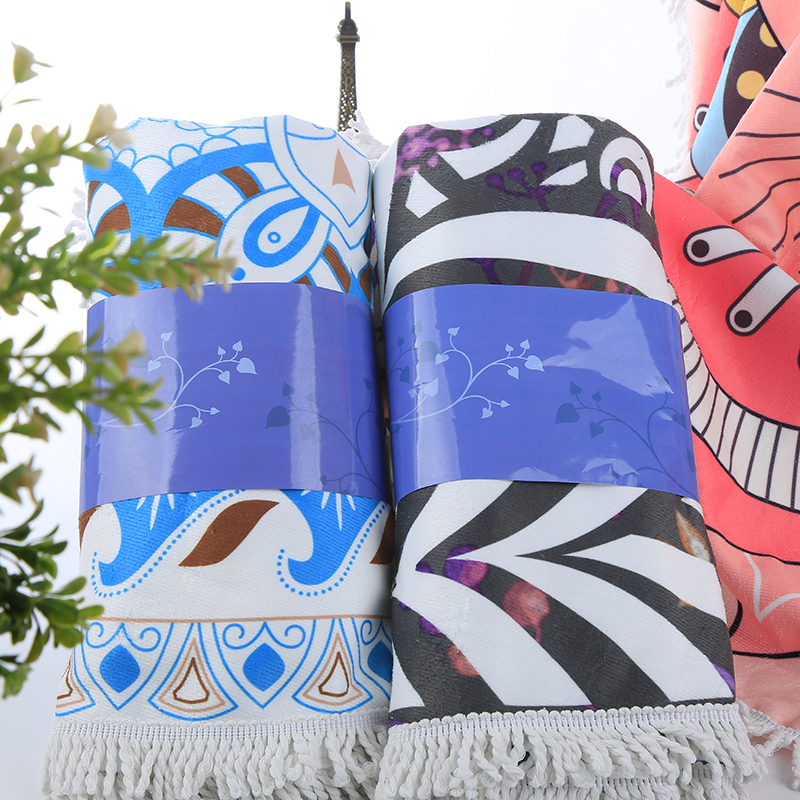 Compare with old beach deck chair, beach towel already convenient carry pattern is much.The irregular beach towel that resembles food design, still have more individual character can buy easily. The beach towel skill works as a mat when you need to lie down and sit down, and can also be wrapped around your body as part of your styling.Sun protection during the day and wind protection at night. when enjoying sunbathing, cross-legged at the seaside to enjoy food.It will give you a star look. 3. It's important to dry your beach towel quickly. Children from the water, put on a beach towel, soon dry, not easy to catch cold.And our beach towel is not only fast dry, still compare average beach towel to fold after flimsy too much.It's too light to carry around.